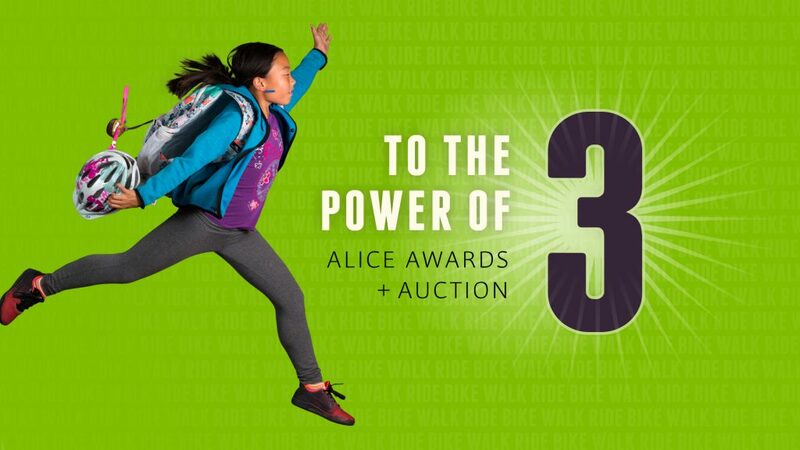 It’s been an honor to support the Bicycle Transportation Alliance with strategy and creative for its signature fundraising event – the Alice Awards + Auction – since its very first edition. But this year was different: after more than 25 years, the organization was changing its name and expanding its mission beyond bicycling to walking and transit. That meant in many ways, Alice was a coming-out party, a chance to introduce the new mission to longtime supporters in a way that made intuitive sense and inspired their continued support. So, really, the BTA turned to me with two projects in one: not only branding strategy and creative for the event, but for the new organization, too. 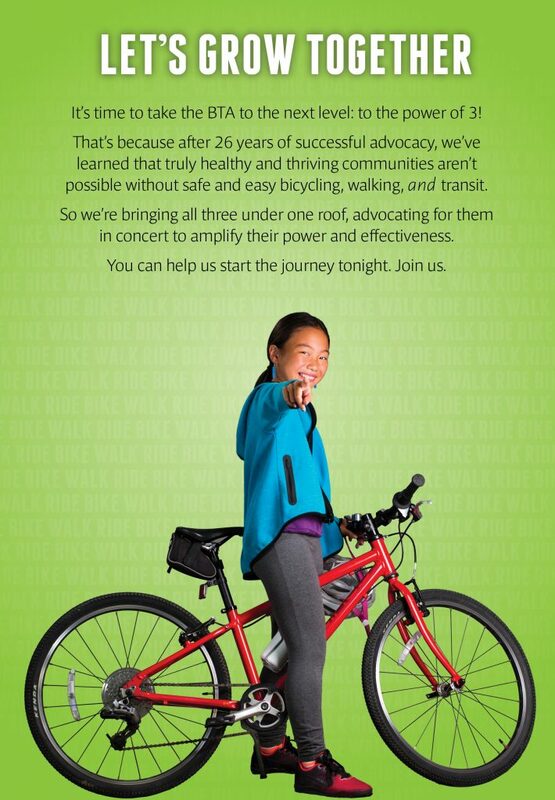 Continuity was critical: the organization wasn’t changing (or leaving its longtime bicycle constituents behind) so much as evolving, from a focus on one way of getting around to three. To the power of three, in fact, increasing its effectiveness exponentially. And there was my theme for the event, and one that began making the case for the organization as well. 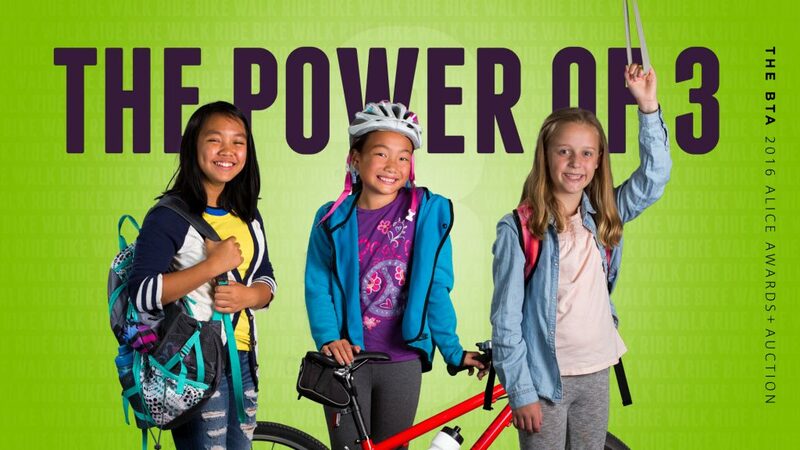 What we’ve been able to achieve together over the last 26 years has been profound – better, safer ways to get around on bikes, smarter public policy and laws, safer routes to school for our kids, to name just 3. But there’s still so much to be done. As long as one person can’t get around as they choose, as long as one parent has to encase a child in a ton of steel to get her to school, as long as one citizen has to risk life and limb to cross the street or bike down it, our work is unfinished. Because let’s not forget the big picture. 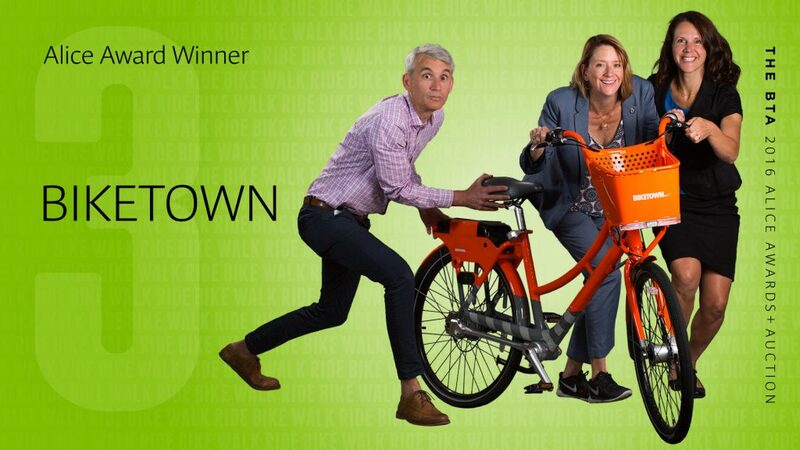 It’s not just about getting around better, it’s about what getting around better gets us. 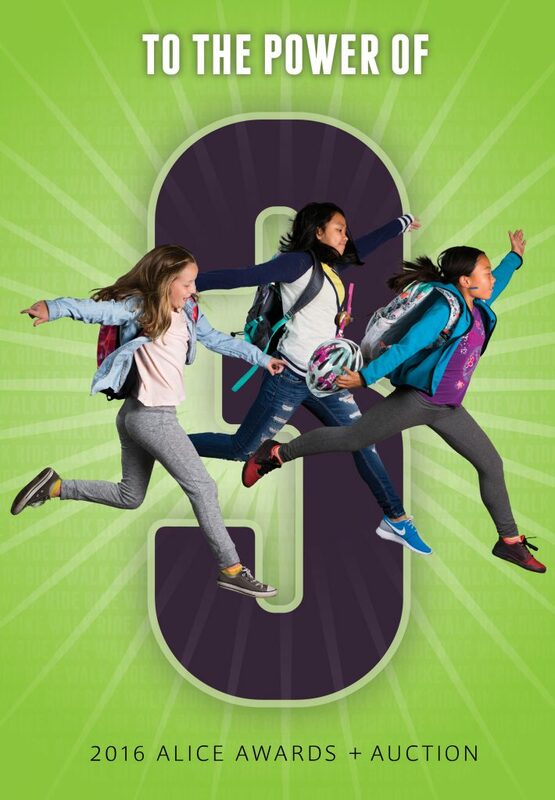 Safe streets are critically important, but just as important is where they lead: straight to healthier, more vibrant and productive communities and neighborhoods for everyone. 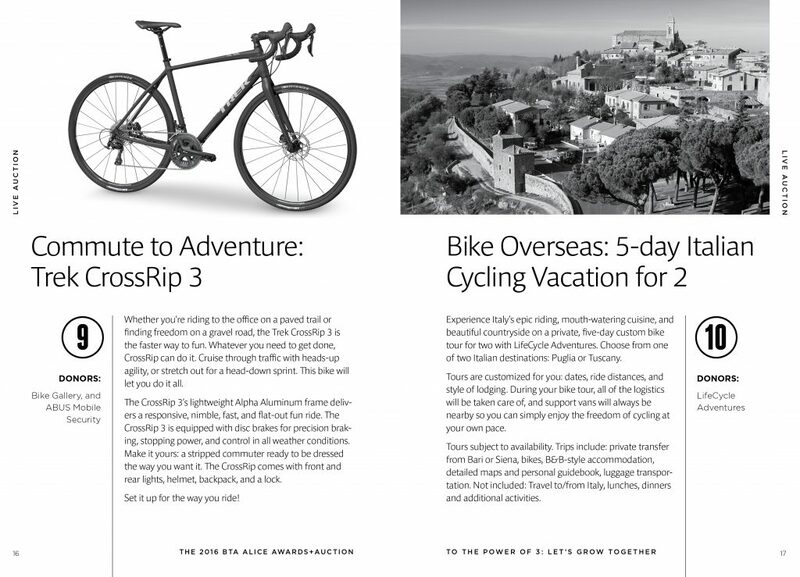 We’ve proved bikes are a big part of the solution. But they’re not enough. To get where we need to go, we need to take this thing to the next level. That’s why we’re bringing all three ways of getting around under one roof, advocating for them in concert, and in the process, amplifying their power and effectiveness. Because it’s not just about safer streets. It’s about creating streets we can trust. With our children, with our neighborhoods, with our future. 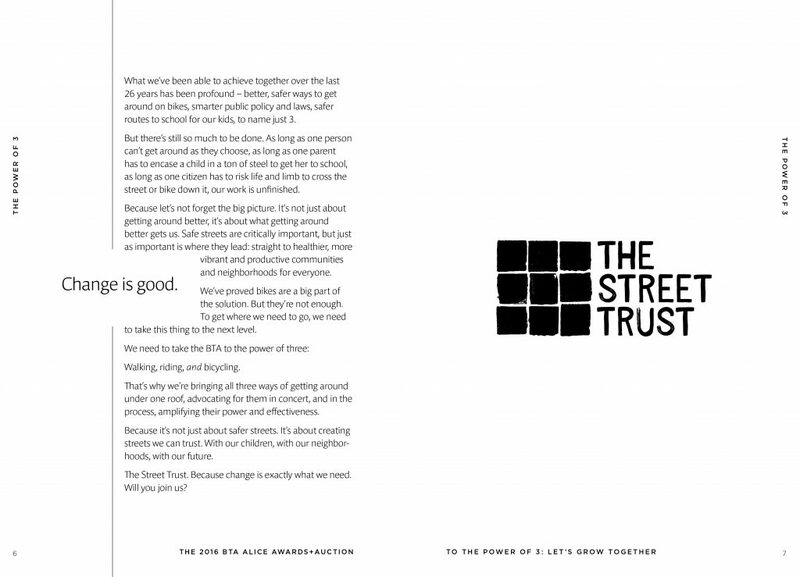 The Street Trust. Because change is exactly what we need.